Serious pollution in a lake next to the mega-city of Manila is forcing a rethink by development planners to protect water quality and fish stocks. Laguna de Bay is the Philippines’ largest lake, and supplies Metro Manila’s 16 million people with a third of their fish. It also supports agriculture, industry and hydro-power generation, and is a welcome getaway for rest and recreation for many Filipinos. Millions more live around its 285-kilometre shoreline. But the lake’s importance has placed it in peril from a host of problems, including pollution from untreated sewage and industrial waste, over-fishing and the sedimentation and illegal reclamation that are eroding its capacity. A recent assessment from the Laguna Lake Development Authority gave the lake an overall ranking of “C-” for water quality and “F” for fisheries (on a scale of A-F, with F being the worst). Environmental threats have sparked repeated attempts to clean up the lake and ease the pressure on its over-stretched ecosystem so that it continues to deliver its benefits to a growing human population. Nutrient pollution is a major concern. Nutrients such as nitrogen and phosphorus can result in the eutrophication, or over-enrichment of a water body, triggering dense plant growth and the death of animal life from lack of oxygen. There have been numerous reports of fish die-offs in Laguna de Bay. Key sources of nutrients include run-off from farmland treated with fertilizers as well as detergents and untreated sewage in domestic wastewater. UN Environment has been studying concentrations of nitrogen in the lake as well as nutrients entering Manila Bay to the west of the city as part of the Global Nutrient Cycle Project. The project, funded by the Global Environment Facility, is developing policies and practices to reduce the impact of nutrients on ecosystems. Project leaders and local partners presented policy recommendations to the governors of the provinces around the lake and Manila Bay in March 2017. The recommendations included greater investment in improved land management practices, a phosphate detergent ban, and caps on the total amount of nitrogen and phosphorus that can be released from discharge points. “The remarkable aspect about the work being done to address pollution in the lake is that it is powered by citizen action that has been supported at the highest decision-making levels through a ruling by the Supreme Court of the Philippines in 2008 that mandated the clean-up of Manila Bay and coastal areas, including Laguna de Bay,” says UN Environment ecosystems expert Christopher Cox. Protecting ecosystem health is aligned with UN Environment’s strategy on freshwater and its global fight against marine pollution. The organization’s efforts on both fronts will help countries to meet targets under the Sustainable Development Goals on freshwater and oceans. Many of the millions of people living on the lake shores are informal settlers whose homes lack proper sanitation facilities. At least half a million of them are estimated to be discharging raw sewage into the lake. The government is considering building medium-rise houses for them around the lake, using environmentally friendly technologies such as compost toilets, biochar (charcoal used as a soil enhancer), and wetlands to control sewage. 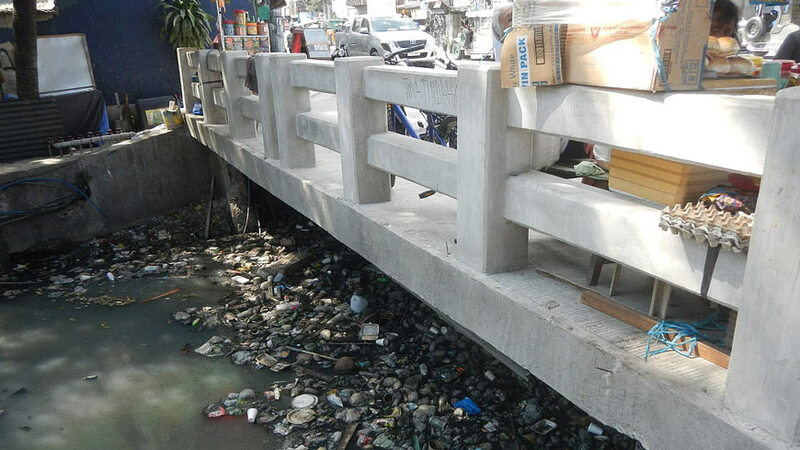 To halt rapid sedimentation, authorities have drawn up plans to build small dams on tributaries to filter out debris and reduce the amount of soil entering the lake. Reforestation along parts of the shore has also been considered. The Laguna Lake Development Authority is the principal body working towards the sound ecological governance and sustainable development of the lake. The Authority drew up a 10-year master plan in 2016. Education is an important part of its work. The Authority has a partnership with the Society for the Conservation of Philippine Wetlands and Unilever Philippines called CLEAR (Conservation of Laguna de Bay’s Environment and Resources). The partnership has conducted 16 ecological camps benefiting students from 100 high schools and 13 lakeside municipalities, where children learn to value Laguna de Bay. Government agencies have decided that for fishing to be more sustainable, some of the vast fish pens in the lake should be dismantled. In July, the authority reportedly halved the maximum pen size to 25 hectares in a drive to cut their total area by one-third from the current 13,000-14,000 hectares. Over the past few months hundreds of large fish pens have been removed amid an ongoing debate about the local fishing industry, a key source of income for many people. In January, the government declared a one-year moratorium on the issuance of permits for fish pens in the lake. Pollution is the theme of the 2017 United Nations Environment Assembly, which is meeting in Nairobi from 4 to 6 December. Sign the pledge and help us #BeatPollution around the world.